Pumpkin season is upon us again. How did that come around so fast? Seems like only yesterday I was writing up my pumpkin pancakes post, when in fact exactly a year ago for the last Virtual Pumpkin Party. Us food bloggers are storming across the web again this year, it’s all happening today and you can find almost 100 other recipes for the party here. Looking forward to seeing what everyone has come up with! 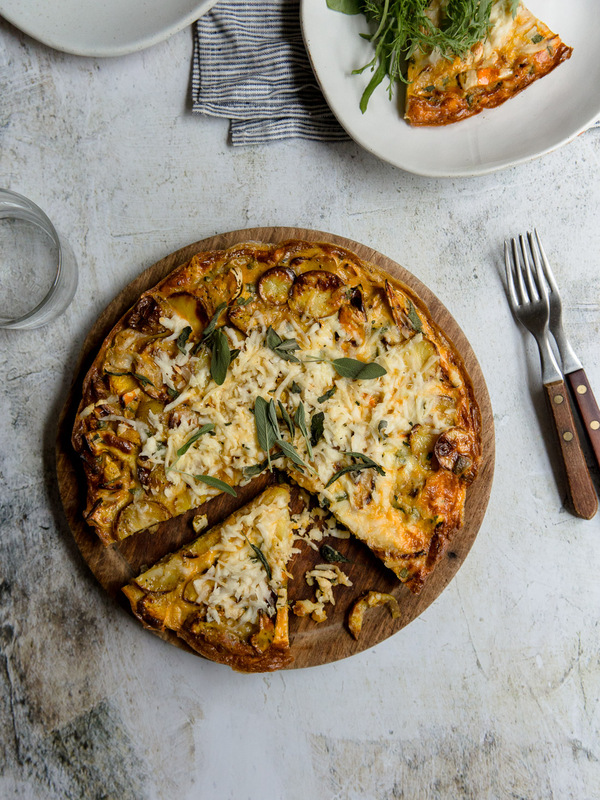 I’ve gone for savoury over sweet with my pumpkin and halloumi frittata. No need to peel the blighters either. I love cooking with pumpkins but always dread the prep for them! Taking to any sized squash with a knife seems like risky business for someone always airing on the side of clumsy. I used a couple of the harlequin variety (perhaps they have a different name outside of England? ), they have a subtle, sweet taste to them. Any variety will do but I would recommend one similar in flavour to get the balance with salty halloumi here. Heat oven to 200C/fan 180C/gas 6. 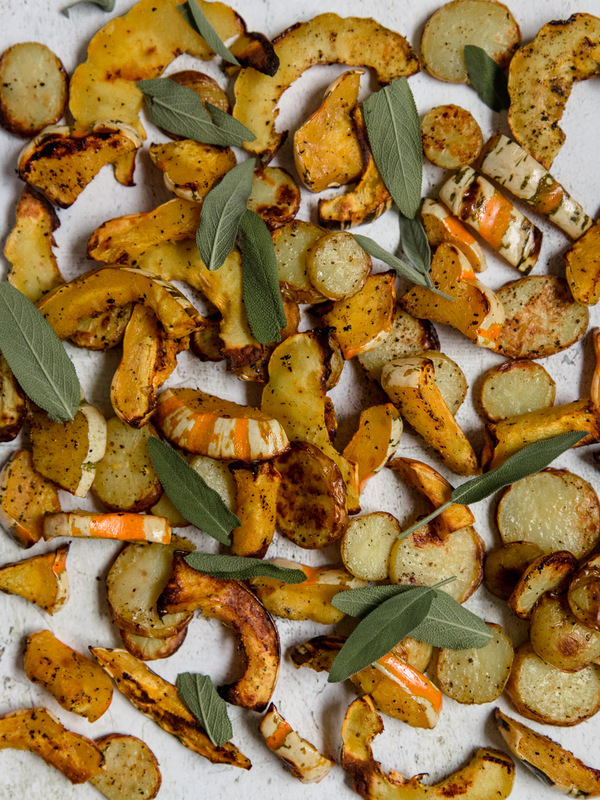 Prepare the pumpkin and potatoes then put into a roasting tray with a drizzle of oil and plenty of seasoning. Roast for 25 - 30 minutes until both are tender and lightly browned. Set aside to cool. 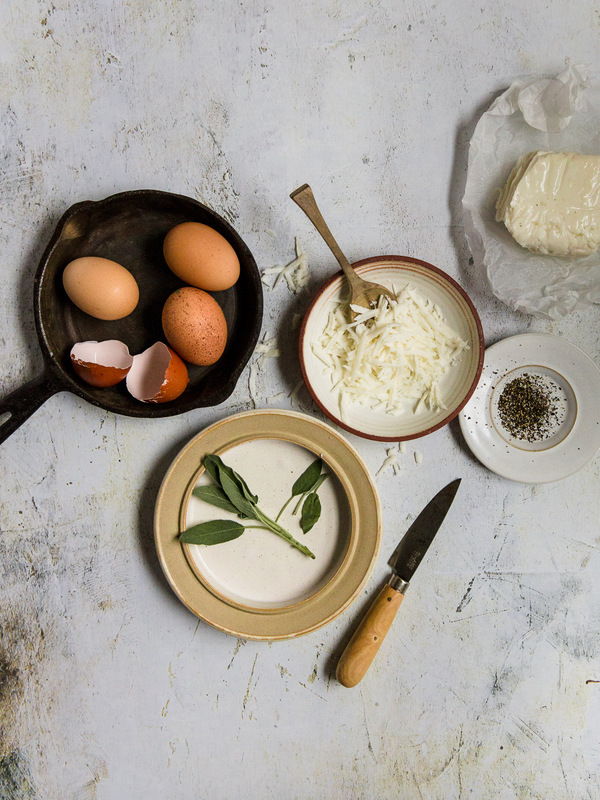 Add your beaten eggs, most of the grated halloumi and sage leaves to a bowl, along with the pumpkin and potato. Season with pepper and mix well. Set a skillet pan over a medium to high heat. 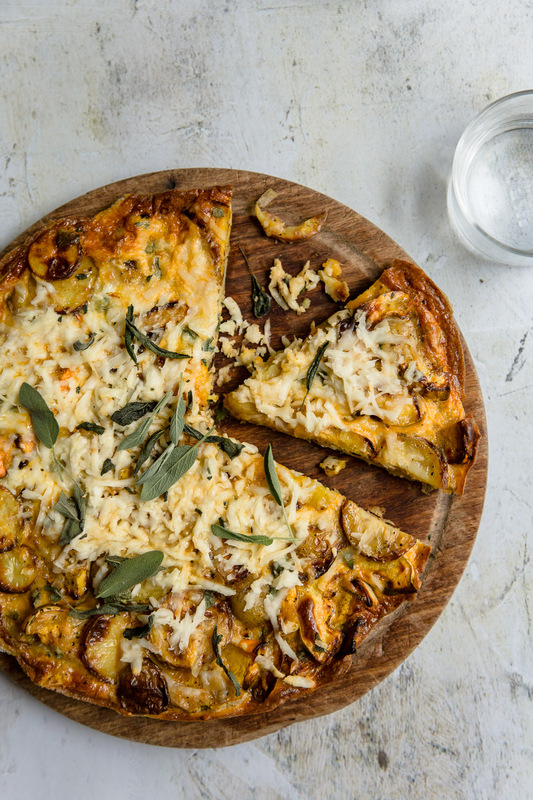 Add a drizzle of olive oil once hot then carefully pour in your frittata mixture. Cook for at least 5 mins over the heat, moving the mix around from the edge with a spatula until it starts to set. Once the frittata is set but still a little wobbly on top, sprinkle over the remaining halloumi and pop under the grill to completely set. Leave to rest before turning out from the pan and cutting into wedges.